Hey Guys! Welcome back to WIAW! 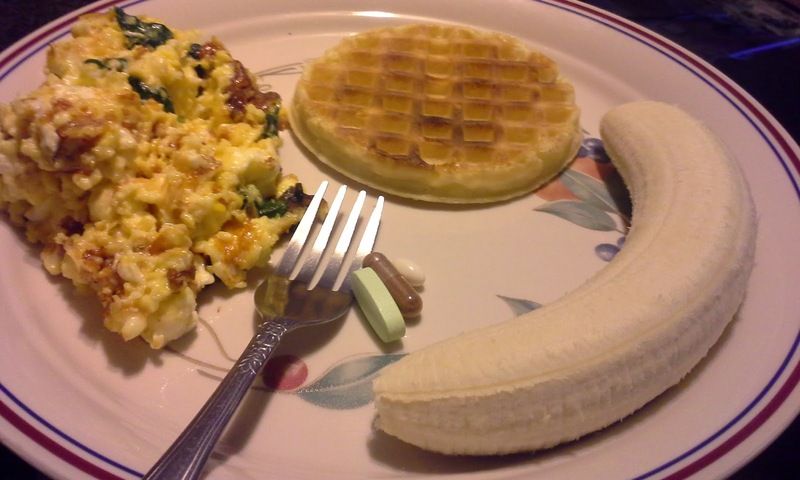 For breakfast I had my most favorite eggs with spinach and cheese, a waffle and banana. And of course my vitamins. 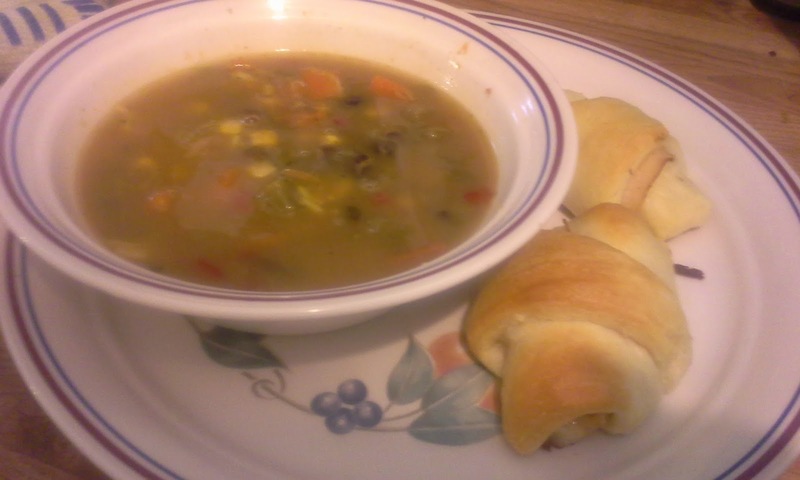 For lunch I had half a can of zesty vegetable soup with rice. I also had chicken and cheese wrapped and baked in croissants (the recipe will be posted next Wednesday). 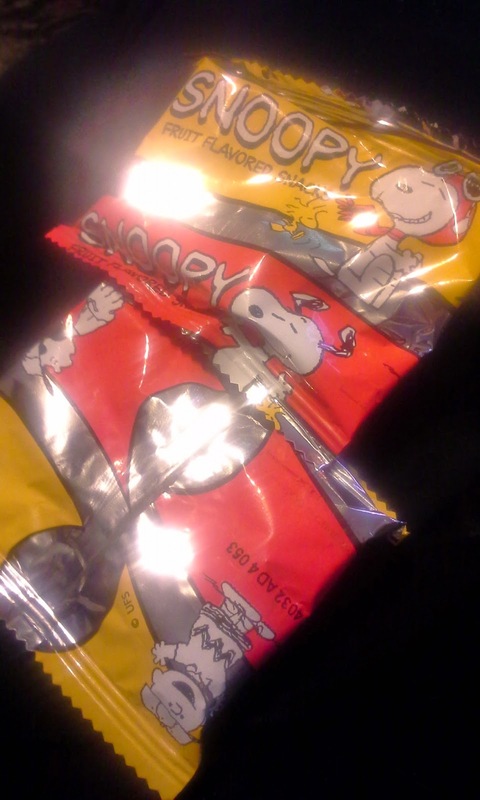 For my "dessert" after lunch I had two packs of snoopy fruit chews. These are my FAVORITES. 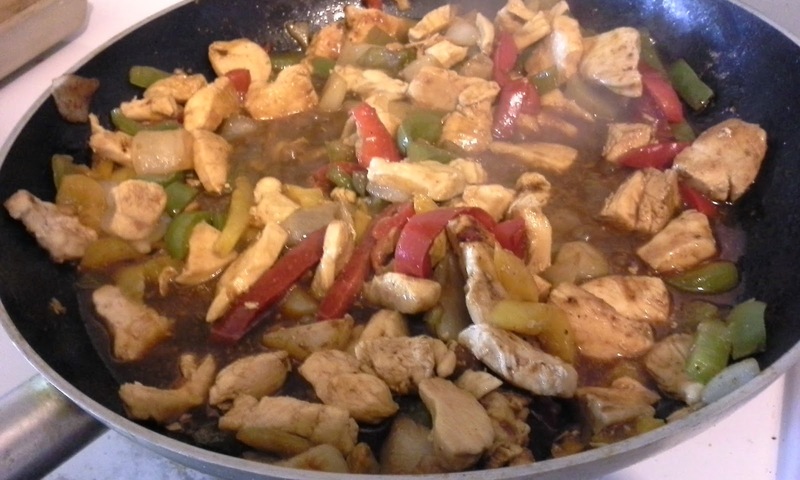 We had fajitas for dinner. I had two in tortillas with a bit of rice and a touch of cheese. They were absolutely delicious! 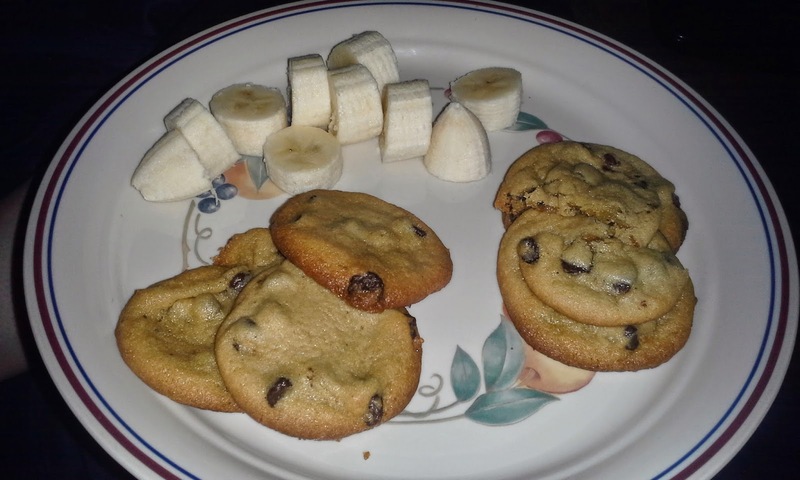 And for dessert JP and I split a banana and each had three cookies a piece. So that is what I ate today. What do you have to eat?